Pfizer Inc. said Saturday it has cut off all clinical trials and development for a cholesterol drug that was supposed to be the star of its pipeline because of an unexpected number of deaths and cardiovascular problems in patients who used it. The world's largest drugmaker said it was told Saturday that an independent board monitoring a study for torcetrapib, a drug that raises levels of HDL, or what's commonly known as good cholesterol, recommended that the work end because of "an imbalance of mortality and cardiovascular events." The news is devastating to Pfizer, which had been counting on the drug to revitalize stagnant sales that have been hurt by numerous patent expirations on key products. It has said it was spending around $800 million to develop Torcetrapib. There were already concerns about the drug because a recent study showed it triggered a slight increase in blood pressure, but it was unclear if that was behind the patient deaths and cardiovascular problems. Pfizer said it is asking all clinical investigators conducting trials to warn patients to stop taking the drug immediately. According to Pfizer spokesman Paul Fitzhenry, 82 patients taking the combination of torcetrapib died, compared to 51 deaths in the arm of the study where patients were taking Lipitor alone. Each arm of the study had 7,500 patients. Pfizer said that the study didn't raise any questions about Lipitor's safety. Just two days ago, Pfizer had said it hoped to file an application with the Food and Drug Administration for approval of torcetrapib by the second half of next year. But despite the loss of the drug, Pfizer reiterated it would return to sales growth by 2009 and that it would achieve high single-digit earning growth in 2008. However, Pfizer said the loss of the product would mean an acceleration of cost cutting measures it promised in October, which were already supposed to extend beyond the promise it made last year to slash $4 billion in expenses by 2008. Earlier this week, Pfizer said it would cut 20 percent, or 2,200 positions, from its U.S. sales force, in a move analysts said could save the company between $400 million and $500 million annually. 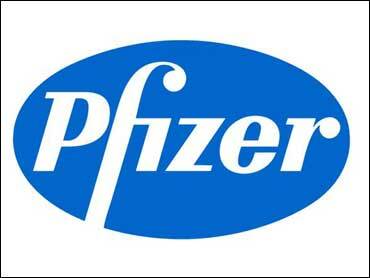 Pfizer said at the time more details on how it would transform the company would be announced in January. New York-based Pfizer had expected to sell torcetrapib in combination with Lipitor, which lowers bad cholesterol and is the company's — and the world's — best-selling drug. At an analysts meeting on Thursday, Pfizer emphasized that it has 242 research programs and other promising drugs in the pipeline, but analysts remained focused on Torcetrapib and said Pfizer would struggle without it. Patent expirations will cost the company $14 billion in annual sales between 2005 and 2007, the company said. Lipitor, which had $12.2 billion in sales last year, may lose patent protection by 2010. Pfizer's decision to end the drug's development highlights the perils of drug development and safety, which have been under a harsh spotlight since Merck & Co. withdrew pain killer Vioxx from the market two years ago. Dr. Philip Barter, chairman of the steering committee overseeing the study, said in Pfizer's release that the findings of the data safety monitoring board Torcetrapib were a surprise "in light of prior study results." "We believed that the study was coming along as expected, and this new information was totally unexpected and disappointing, given the potential benefits of this drug," said Barter, Director of the Heart Research Institute in Australia.